Eli Wolfe is a curious and creative soul who has been touring Australia and the world extensively over the past few years. 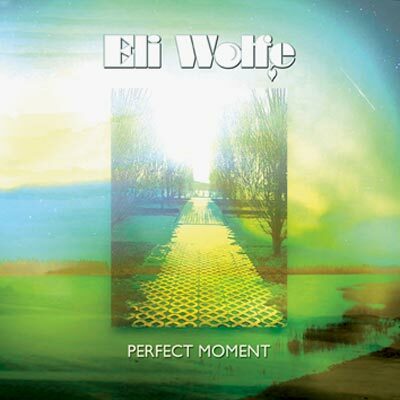 Now back on home soil, Eli is releasing a brand new EP Perfect Moment, recorded in Sydney with ARIA-nominated producer Lachlan Mitchell (The Jezabels). Penned in Los Angeles, the four-track EP showcases Eli as a truly diverse artist, blending his renowned heartfelt vocals with driving grooves to make for a high-spirited and epic sound. The new EP tops off a busy 12 months for Eli, with concerts to full houses across Canada and Germany, campaigning as a musical ambassador for respectful relationships in Australia, releasing his second studio recording, and completing three successful national tours. His international adventures included contributing his song Eggman (inspired by one of Eli’s own paintings) to classic US cartoon comedy Futurama. Eli will tour the EP nationally from February to May 2013, including a number of shows with a full band. A wonderful storyteller and soulful performer, Eli has an ability to entice listeners into the very present moment - a rare experience in a world of never ending distractions.